I’ve been waiting for quite some time to do this! After a lot of work, I feel confident enough about the English version of Judith Gyrran to give you a small preview. It’s the prologue to the very first episode, so there aren’t really any spoilers in here. If you like or dislike what you read, please tell me so on Facebook, Twitter or by e-mail: judithgyrran[at]gmail.com! New to Judith Gyrran? Then check out this blogpost! Alright, here’s the preview! Do you like Visual Novels or “Choose your own adventure” books? Do you enjoy Science Fiction stories? Then you might be interested in my current project: „Judith Gyrran and the cocoon of the forgotten“. I have been hard at work with for four months now. 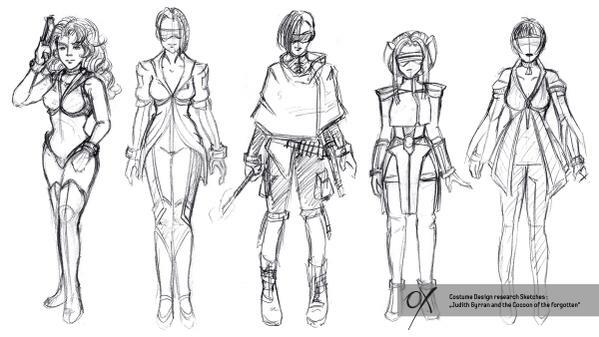 It’s an episodic Visual Novel/Choose your own adventure game with a science fiction setting and a heroine that changes her appearance every episode. 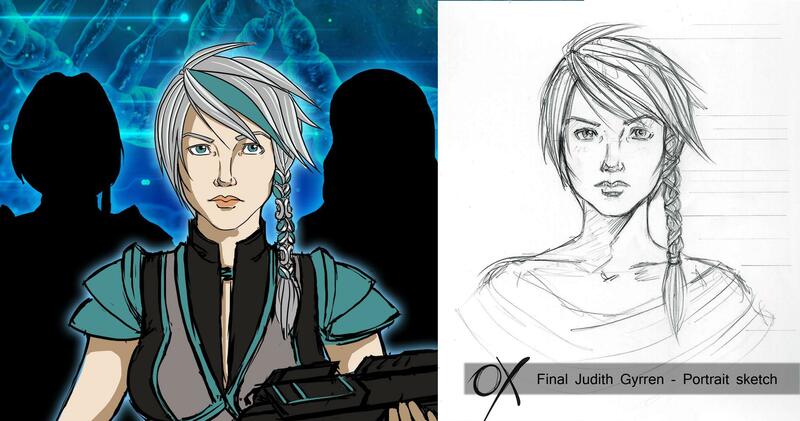 Thanks to an accident during an experiment, part of Judiths DNA reassembles every few days, changing her look completely. She’s a mercenary in a time, where humanity has explored the depths of space thanks to an artifact that landed on earth hundreds of years ago. However, she stumbles upon something, that might reveal some of the biggest secrets of the universe to her and might answer the question, where that artifact has come from and what the future of humanity will look like. Every episode will be available in two languages: German and English. Since I’m way more used to writing in German, that version of the script is the first one that is completed and right after that, the translation start. Right now, I’m very close to finishing the English version of the script for the first episode and after some changes are done to the original German script, my work on that episode is done. As you can see, the Art-Team is hard at work and is creating some amazing visuals. So far, we have no release date, however, the game will be available for iOS, Android, Windows PC and Mac. You want to always be up to date on this project? Then check out Judith Gyrran on Facebook and Twitter. We share our latest visuals with you and we even ask for your opinion. 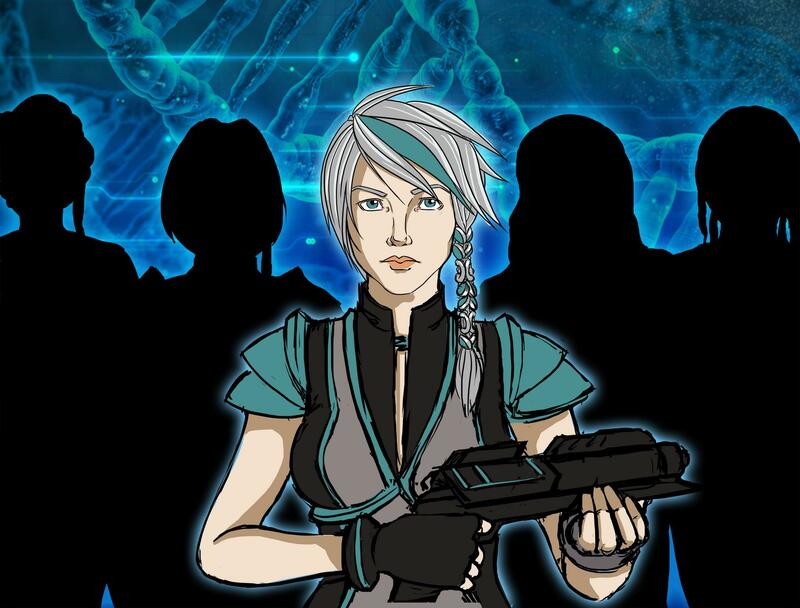 Your voice matters in this epic space adventure!